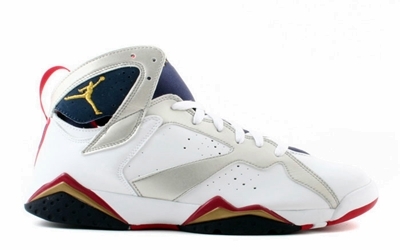 Air Jordan 7 Olympic Out on July! Jordan Brand created huge buzz when they announced that they will be releasing the Olympic editions of the Air Jordan 6 and 7 once again. The release date has now been confirmed so every Jordan Brand enthusiast must gear up for the return of the Air Jordan 7 Olympics, which will be hitting the market on July 7, a month before the 2012 London Olympics. No official image has been released as of now, but words came out that is the same as the one released before, but applied with the latest technology together with design tweaks.